Luxury 3 bedroom/2bathroom Villa located just steps from the beach. Pura Vida! Taste the Good Life! Beaches. Ecotourism. Action. Culture. Costa Rica has something for everybody! Whatever your interests: surfing, hiking, bird watching, adventure tours, fishing, diving, rafting, golf, or just relaxing on an unspoiled, tropical beach you'll find all of that and more in this tropical and secure paradise. So come and experience one of the most exotic and undiscovered vacation destinations in the world, boasting unsurpassed natural beauty and an impressive array of distinctions: towering and fiery volcanoes, pristine beaches, raging rivers, virgin rain forests, abundant wildlife, warm and hospitable people and much, much more!! Enjoy a slice of paradise for you, your family and friends and share the beauty of Costa Rica's Tamarindo Pacific Northwest coast. With a small Mediterranean Village flavor, this beautiful vacation home is nestled within a quiet residential area of Tamarindo and is one of a small group of five homes in a gated development that resembles a private estate. A shared pool surrounded by tropical landscaping is at the center of the complex. Casa de Valencia is just steps from the pool and patio with a beautiful view of the gardens. The house is just across the street from the beach and four blocks from the small, bustling town of Tamarindo. Our house is just like new -- built in 2005. The house is fully furnished and beautifully decorated with a mix of tropical and modern furniture as well as colorful Central American art. This is our personal vacation home that we offer for rentals to only a limited number of visitors per year. You get the privacy, generous space and comforts of a house -- for the price of a good hotel room. Casa de Valencia is owned by Starr de Tejas Vacation Rentals - a family company comprised of Dana Bellamy, her daughter Brenda Marafioto and her husband Kevin. They live in San Antonio, Texas where Dana is a retired rancher, Brenda, a teacher, and Kevin an engineer. We fell in love with Costa Rica on vacation two years ago. Since then, we have traveled back over seven times with our children to surf, paddle board, and explore all the natural wonders Costa Rica has to offer. Costa Rica surpasses every other destination as it offers something for everyone: beaches, surfing, kayaking, zip lining, fishing, volcano tours, ATVing, golfing, horseback riding, and so much more. You can travel and enjoy the ocean all year round as Guanacaste is the driest Province of CR, so it usually doesn't rain all week in rainy season. It is a safe and friendly country where everyone is helpful and most speak at least a little English. 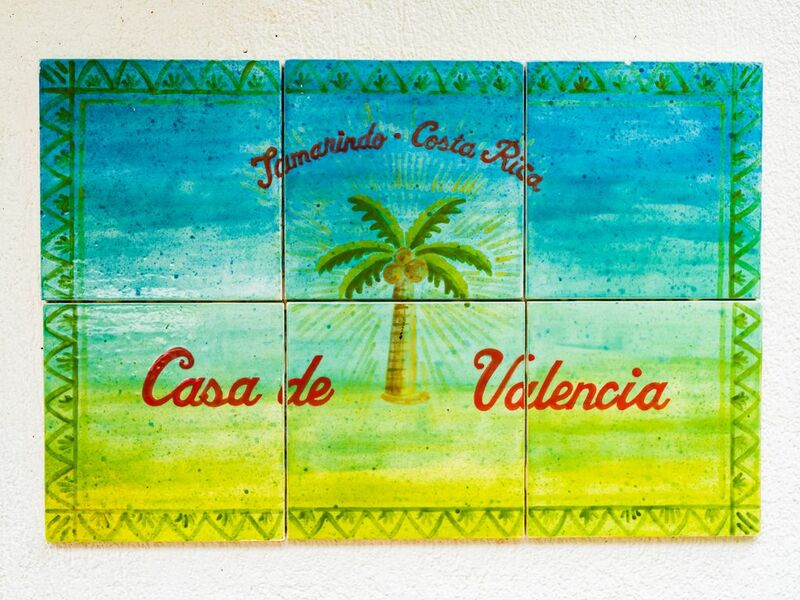 When searching for a home, Casa de Valencia always stayed on top of the list of condos we visited. It is steps away from the beach, so it's great for a morning stroll or to catch the famous Tamarindo sunsets! It is close enough to walk to town but far enough from the disco club of downtown so you have peaceful night. The pool and garden is very luxurious and it feels like COSTA RICA! Casa de Valencia was previously owned by Kenny and Anick, they kept the place beautiful and in perfect shape. We intend to keep it that way. We want to make your vacation easy and enjoyable, so we have supplied everything we think you could possibly want at Casa de Valencia. Less than a 2 minute walk down the beach path across the street to a sandy beach perfect for swimming, boogie boarding, paddle boarding, kayaking, and surfing. Small double space parking shared with unit 5. Casa Blanca #4 has one parking space inside the gate. Additional parking available on the side street.